It's been a busy week, so I'm a bit behind. 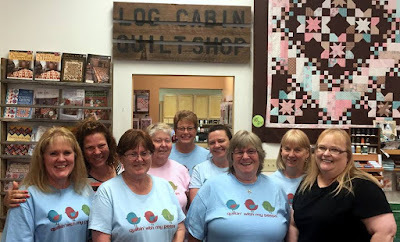 I went to the Omaha Quilt Guild Show Thursday night. Lots of gorgeous quilts. The one above was made by my sister-in-law, Denise. 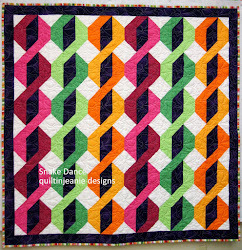 It is a paper pieced Double Wedding Ring Quilt. It took her 2 years to make it, but what a beauty! I love this quilt too. I have a paper piece pattern similar tot his that is waiting to be made. Gotta get busy on that. Ok, this one I just stood and went AHHHHHH. with lots of beadword done to the panel. Gorgeous! Another beautiful pp quilt. Love these so much! I love this too! 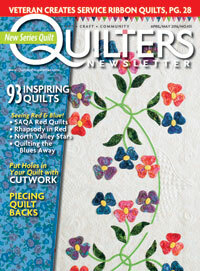 The quilt maker took a class from Scott Murkin...I have to try this. I couldn't find any books by him...anyone know if he has published any books? I have done a free cutting technique similiar to this so guess I'll just wing it! The lattice in between were not attached to that black...the quilt itself was wavy strips connected by the lattice pieces. This was so pretty, not sure the pic does it justice. The quilt maker used needlework pattern to design this quilt. It is always so inspiring to go to quilt shows and see what others have made. I did a little shopping at the vendors, but only bought one 5 yd bundle. I forgot to take a pic of it, so will later and share another day. My kids quilting class went well. 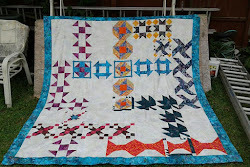 I took pics of the girls and their finished quilts, so will post those tomorrow. It is fun to work with kids....they are so creative! Beautiful quilts. I was shocked that the one started as a panel. Thanks for taking the time and photographing the quilts. Unfortunately I had to miss the show this year. Thanks so much for sharing those are truly wonderful quilts.